Alchemy Post Sound's Leslie Bloome was nominated for Outstanding Sound Editing for a Nonfiction Program for the A&E documentary Cartel Land. Bloome also received an Emmy nomination for Outstanding Sound Editing for a Nonfiction Program for the Netflix mini-series Making a Murderer. Alchemy Post Sound co-founder, Foley artist Leslie Bloome has received two nominations 68th Emmy® Awards. Bloome was nominated for Outstanding Sound Editing for a Nonfiction Program for the A&E documentary Cartel Land. Alchemy Post Sound Foley Mixer Ryan Collison and Foley Artist Jonathan Fang, were also named in the nomination, as were Sound FX Editor Mark Filip, Dialogue Editor Billy Orrico and Sound Designer Sean Garnhart. 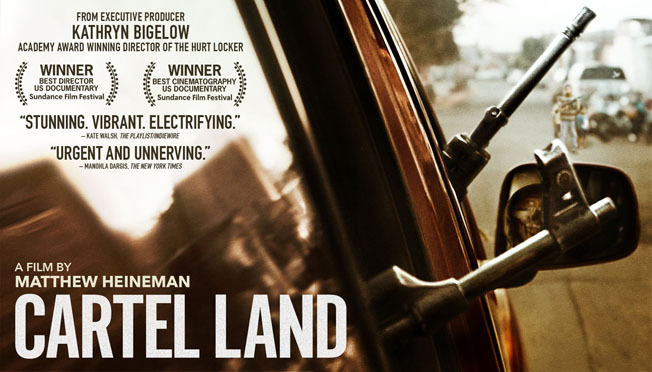 Directed by Matthew Heineman, Cartel Land centers on a physician in Michoacán, Mexico who leads a citizen uprising against the drug cartel that has wreaked havoc on the region for years. The film received an Academy Award nomination earlier this year for Best Documentary Feature. It has also won numerous awards at film festivals, including awards for Best Directing and Best Cinematography at the 2015 Sundance Film Festival. It is nominated for a total of five Emmys. Bloome also received an Emmy nomination for Outstanding Sound Editing for a Nonfiction Program for the Netflix mini-series Making a Murderer. He shares the nomination with Sound Editor Daniel Ward. Filmed over a 10-year period by Directors Moira Demos and Laura Ricciardi, the series tells the story of Steven Avery, a DNA exoneree who, while in the midst of exposing corruption in local law enforcement, finds himself the prime suspect in a grisly new crime. The series is also nominated for six Emmys. The 68th Emmy Awards will air Sunday, September 18th on ABC. Alchemy Post Sound’s Leslie Bloome Performs Live Foley For Halloween Screenings of "The Unsilent Picture"